Vistra Group, the acquisitive, Hong Kong-based corporate services, trust, fiduciary and fund administration services provider, has acquired Podium SAM, a privately owned wealth structuring advisory provider in Monaco, as it looks to expand into the Mediterranean principality. The purchase price and other details of the deal weren’t given. Following the acquisition, Podium SAM will be rebranded as Vistra Private Office SAM, Vistra said in a statement today. In addition, Vistra Monaco Corporate Services SAM has been incorporated to act as a local company administrator, and has been granted the necessary licence in Monaco to set up and manage trusts, companies and private fund structures for HNW families, Vistra said. Maurizio Cohen, founder of Podium, said Monaco was “set to grow as an important wealth structuring centre in Europe”, and that, against this backdrop, Vistra’s arrival would “bring valued skills and experience with a global outlook to the principality”. Separately but in a related move, Vistra announced the launch of the what it is calling Vistra Private Office (VPO), a service for international families “whose business and wealth is inextricably linked, and who live and operate across a number of countries”. 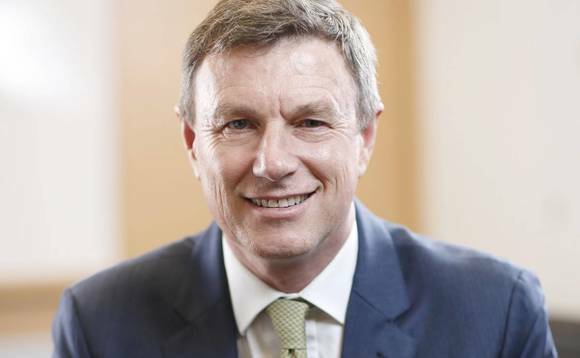 Vistra chief executive Martin Crawford, pictured, said the Monaco venture had come about as a result “of an initiative of our longtime friend, Michael Woolf, doyen of the trust and corporate services sector in the principality”. He said the jurisdiction would be a “key location for our private client practice” and a “key strategic addition to our HNWI service offering”. Vistra, which dates back to a 2006 buy-in of the fiduciary and trust business of Chiltern in London and Jersey by the former top management team of Fortis Intertrust, was acquired by Baring Private Equity Asia in 2015. In 2011, it merged with Hong Kong-based company formation specialist OIL (formerly Offshore Incorporations Ltd), which, as reported earlier this month, has now been rebranded as Vistra. Monaco has recently been looking to update its wealth management business model, at a time when private banks around the world are under pressure, and high-net-worth individuals and UHNWIs are increasingly making use of family offices and multi-family offices to manage their assets. In November, for example, as reported, the National Council of Monaco – the Monegasque parliament – passed a law aimed at regulating the activity of multi-family offices in the Principality, by creating two categories of MFOs.